Set of 2 multi-purpose scourer pads made from fine copper threads that clean thoroughly and gently without scratching. Use for pots, pans, sink, stove, high grade steel and to remove layers of dust from cutlery. Ideal also for sprucing up bikes, cars, motorcycles and much more. 100% recyclable, extremely durable & long lasting, machine washable. Redecker have been producing quality artisan hand-crafted brushes to meet both traditional and modern needs for over 75 years. 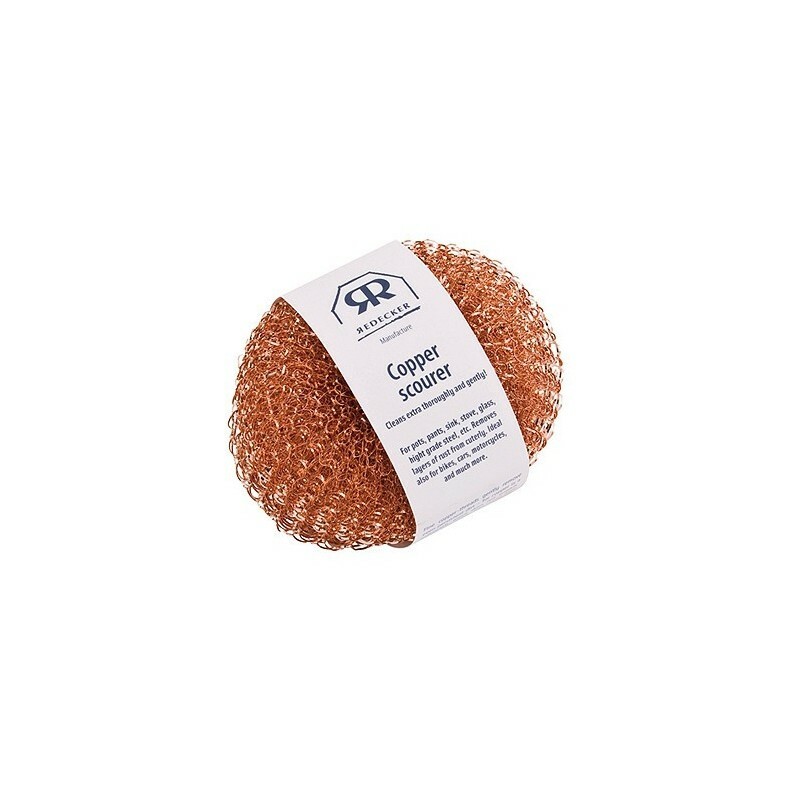 These multi-purpose scourer pads are made from fine copper threads that will remove even the most persistent dirt. Copper is a soft, non-abrasive metal which will clean thoroughly and gently without scratching surfaces when used wet. Free your pots, pans and stoves from grime and polish your sink until it gleams. These copper scourers are also ideal for removing dust from cutlery or even sprucing up bikes, cars, motorcycles and much more. Please note: not suitable for Teflon or other non-stick surfaces. Use in wet condition only! Third generation family business specialising in hand-crafted brushes made traditionally by highly skilled blind brush makers. The Redecker company is one of the last producers of hand-crafted brushes in Germany. With traditional hand threading being increasingly replaced by machines there are very few people worldwide who have mastered the intracies of this craft. However, Redecker's son continues to pass on his knowledge to anyone interested, and – of course – to those who work in the Redecker brush factory. Redecker has been family owned for over 75 years and stands for the successful combination of design, functionality and use of beautiful, sustainable wood and natural, ethically sourced fibres. Learn more about traditional hand threading. 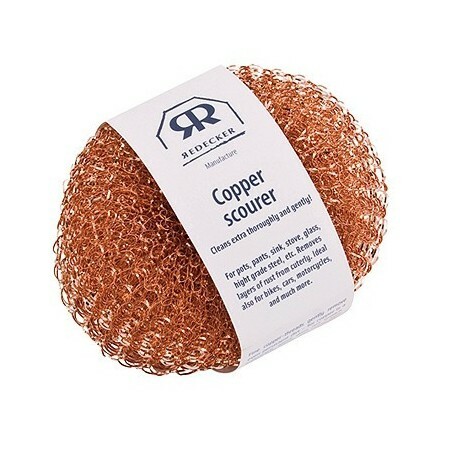 I love all the Redecker copper scourers.They last and they don't scratch pots and pans. I also like the no plastic wrap and minimal packaging.Well worth the money. I use these for cleaning my stainless steel pots and also for plates etc. I like that they are gentle enough not to cause scratched on surfaces but still do a great job on cooked on food.